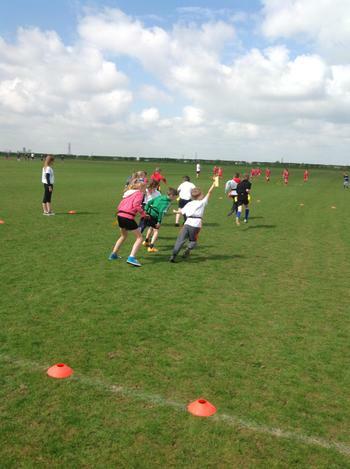 Horncastle go to County Championships! 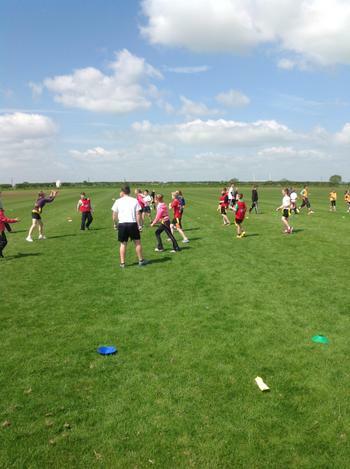 On Thursday 21st May, 14 children from Year 6 headed to Lincoln Rugby Club for a festival of Rugby. 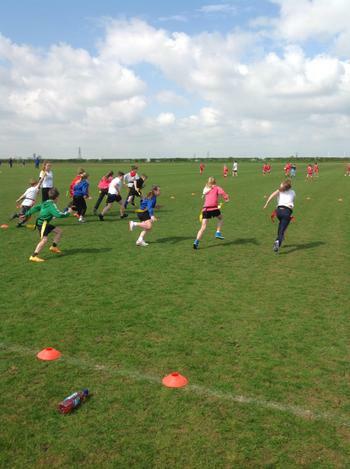 All the best schools from around the county took part and it was a great day out. Despite just 1 short session to prepare, (due to Mr Hanrahan’s leg operation) we set off for the festival in high spirits. 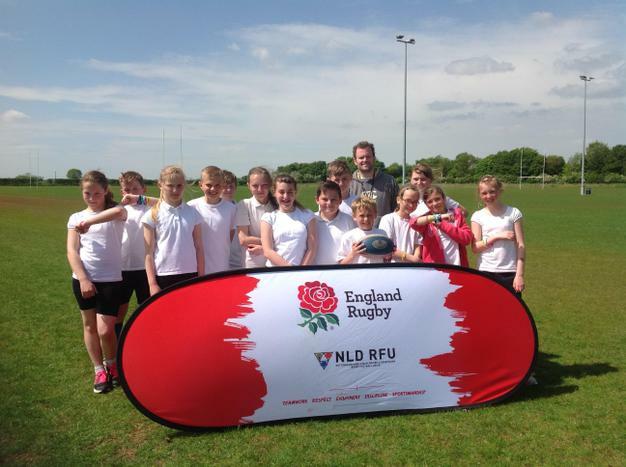 The ‘competition’ was judged not on scores, but on the new ‘core values’ set out by the RFU for U-11’s. 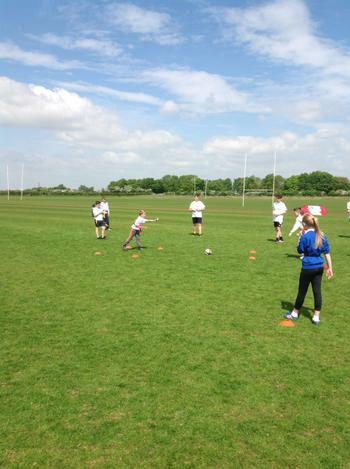 ‘Teamwork’, ‘Respect’, ‘Enjoyment’, ‘Discipline’, ‘Sportsmanship’. 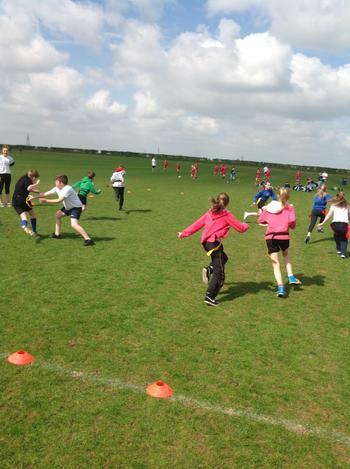 – Although this didn’t stop any of the Horncastle children being mightily competitive and setting out to win! 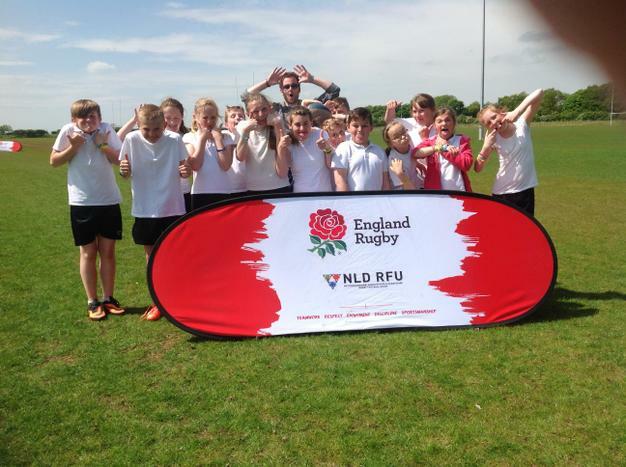 When a child demonstrated one of these ‘core values’ they were given a wrist band by one of the many RFU staff. 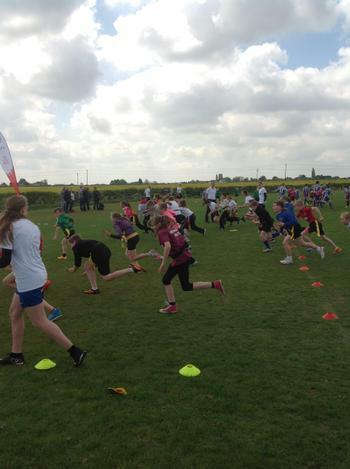 I am really pleased to say that of all the schools present, Horncastle came 2nd for the number of wrist bands given out. The children were a real credit to the school, town and their families for the entire day and we are all immensely proud! It was a wonderful day out and Mrs Danby even got to do some sunbathing!